And here we are at the Toronto Reference Library. This whimsical building was designed by Japanese Canadian architect Raymond Moriyama. There’s a lot to do and see here, so let’s dive in. Upon entry, you are faced with the difficult choice of going to Page and Panel or Balzac’s Coffee. I am a tad biased, since Page and Panel is probably one of my favourite stores in Toronto, so let’s focus on that. Page and Panel is affiliated with the Toronto Comic Arts Festival, which is an annual comic arts festival held at the Toronto Reference Library. There are quite a few exotic wares in this shop, including a selection of book related ephemera, Studio Ghibli books (My Neighbour Totoro, anyone? ), manga and anime gifts. For the bibliophiles in your life, this is the perfect place to buy book themed merchandise. I digress. There’s also the infamous Arthur Conan Doyle Collection. The Collection consists of items relating to Doyle’s writing, not simply his Sherlockian exploits, though those are a big feature. There are the issues of The Strand where Doyle originally published Sherlock Holmes but also his work on prehistory, faeries and spiritualism. 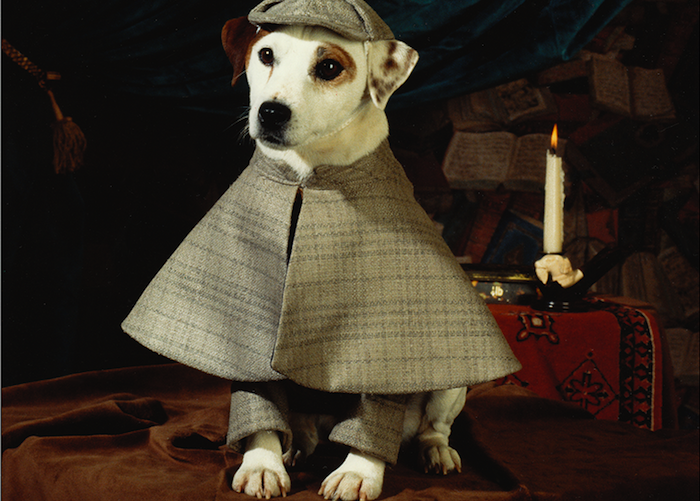 Also included in the Collection are things that you wouldn’t expect, like TOEFL books that reference “Elementary, my Dear Watson” in their phrases and a certain literary beagle. The Friends of Arthur Conan Doyle also put on lectures, quiz nights and other outreach programs relating to Doyle and his works. Recently, they had a lecture by David Arquette, who was playing Holmes in Toronto. Of course, no description of the Toronto Reference Library would be complete without referring to the wonderful events at the Reference Library including the Book Lover’s Ball, the Eh List and a whole host of other programs. I attended The eh List! event with André Alexis on January 11, 2016 at the Toronto Reference Library. For a recap of that experience, please click here.